INST-08020: One or more entries are found in HSS_COMPONENT table. — A new schema must be used in order to install successfully. Reason: When you conducted the simple install, you also had to point to the BIPLATFORM and MDS schemas. These schema tables get populated with the first installation attempt and succeeded. If you want to reinstall the software to enterprise install. You have to drop the BIPLATFORM and MDS Schemas created by the RCU install. Those schemas can only contain one OBI installation at a time unless you changed the prefix (ie: DEV_,QA_,PROD_,etc.) of the schemas if you had the RCU a second time against that same database. 1. Run the deinstall script and select the Deinstall instances managed by a WebLogic domain option. * select instance1, all become checked. 2. Stop all Oracle Business Intelligence processes and servers, including all OPMN-controlled components and JEE components. 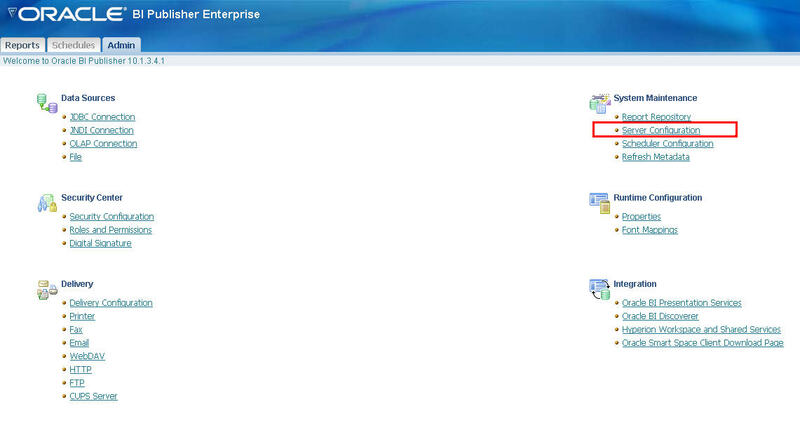 * Go to http://:7001/em then click core application under the business intelligence folder. Stop the components. 3. Drop the Metadata Services (MDS) and Business Intelligence Platform (BIPLATFORM) schemas using RCU. 4. Run the deinstall script and select the Deinstall Oracle Home option. 5. Deinstall the Oracle Common home manually or by running the deinstall script that it contains. 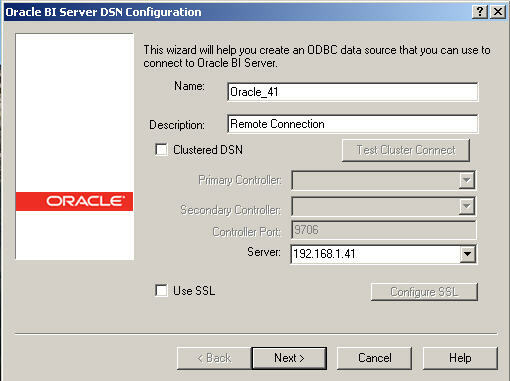 Oracle Business Intelligence 11g Installer in the Middleware home. 6. Use the Oracle WebLogic Server uninstaller to uninstall WebLogic Server. 7. Remove the Middleware home (if necessary). If you have done enterprise install, then remove the foundation domain home as well. 8 End of the instruction. Step 1. Set up your system DSN. 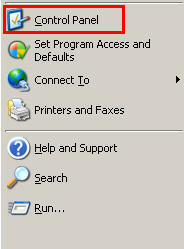 Go to “Start” at the left corner of your windows system and click to expand the panel. And then click “Control Panel” on the right. Step 2. 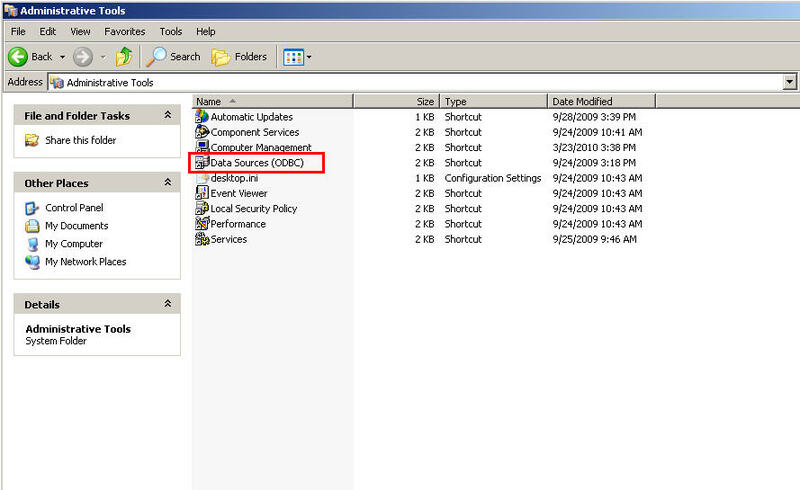 Click “Administrative Tools“, and then click “Data Sources (ODBC)” . Step 3. 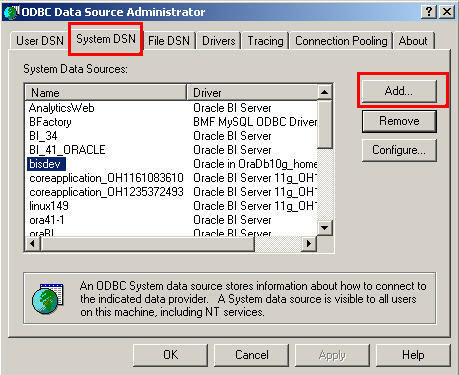 Click “System DSN” and then click “Add” to add a new one. Step 4. 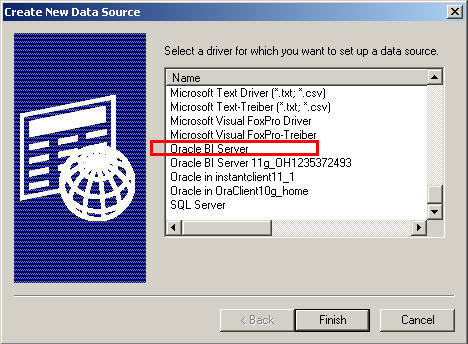 Choose “Oracle BI Server” as the driver.Note: Once you install the 10g OBIEE package which by default would include the driver installation. Step 5. Fill in the Server name (this one would show up when you use admin tool to remotely connect to the online rpd) and IP address where your remote rpd locates on. Then click “Next“. Step 6. On this page, type the Login ID as your rpd Admin login id. By default it should be “Administrator“. And the Password should be remote rpd login password. I would check the last box marked in red to make a trial connection to the remote rpd and make sure this connection is valid. Then click “Next“. Step 7. If you could see this page with the remote subject areas showing up , in this case (Sample 1 and Sample 2 are the two subject areas on my remote rpd). Then this DSN is valid. Then click “Finish“. Step 8. 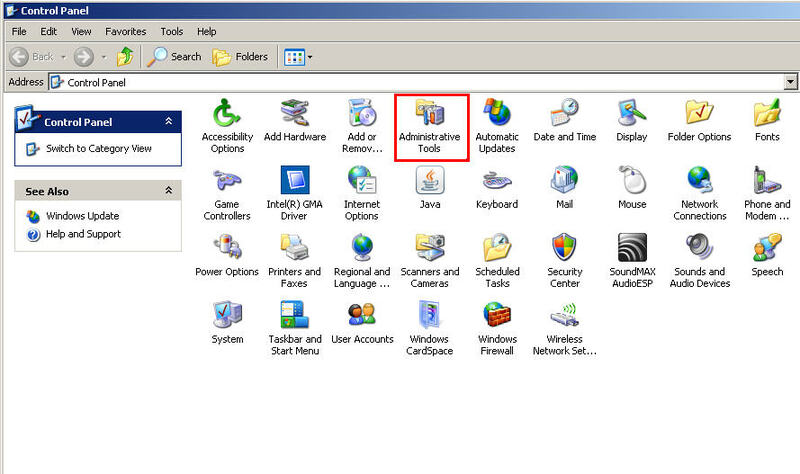 Go to your admin tool and then click the blue folder button for opening online rpd. 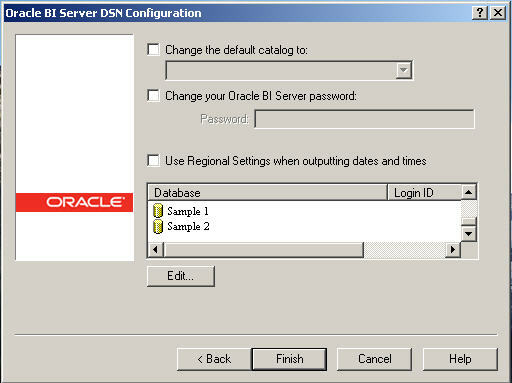 Then on the pop-up window, it lists all the DSNs available. 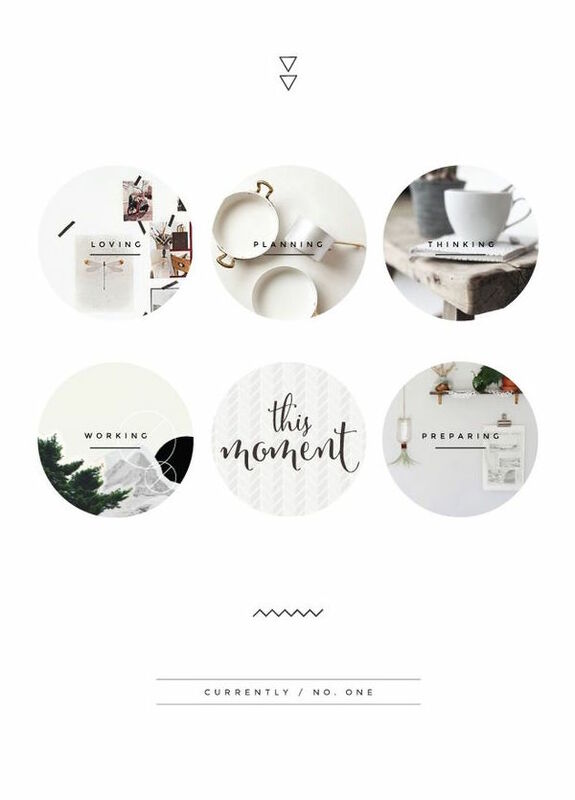 Choose the one you just created and type the rpd password. Then you could be able to login to your remote rpd. 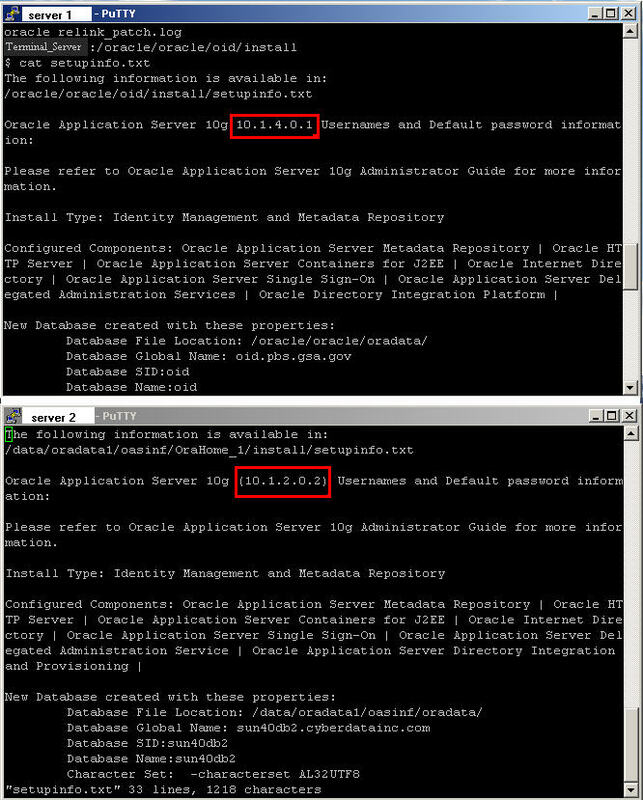 I made an upgrade on SSO Server 1 from 10.1.2.x to 10.1.4.x ,while for SSO Server 2, I kept the older version. Here is the version number comparison that you could easily found out from the setupinfo.txt under the software installation folder. It actually gave me no complaint on the SSO Server 1.However, when I transfered the osso.conf file to my partner application server and put it under the same directory I used to. After restarting the HTTP Server, I got the following error: SSO server version v3.0 is not supported. After restarting the HTTP Server, it worked perfectly with the new file! Good luck! 1. 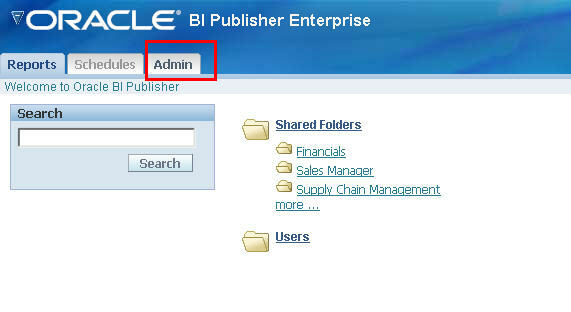 Login to BI Framework with the user account which has the XMLP_ADMIN privileges on BI Publisher. Click Admin Tab from this page. 2. 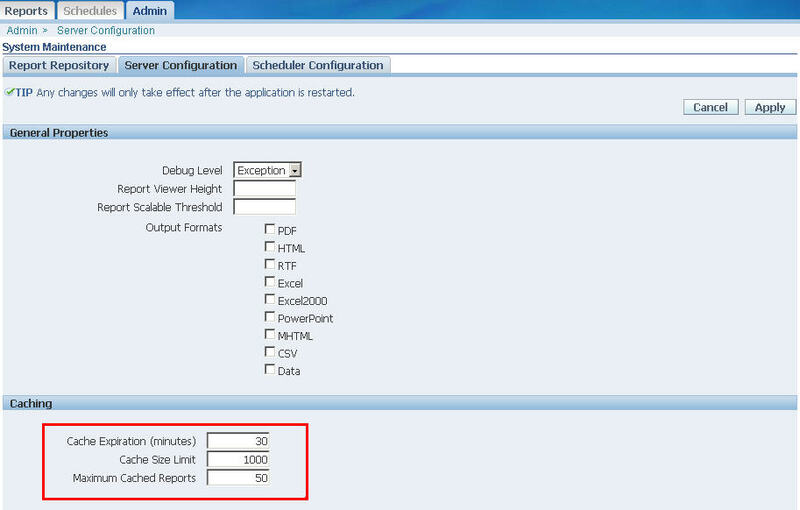 Click Server Configuration on Admin Page. 3. If you have never set up the Caching for publisher, by default,it should be all blank for this section. Input the numbers for each text field as expected. Open a terminal and type the following commands. Recently, I was asked about a question that how to roll back the Selection Security to be Enable again. It looks like on the Dashboard Properties page, you could change the Selection Security from Enable as shown by the graph above to the two new icons below which offer more flexibility of setting up the selection permission. The question is how to roll it back. 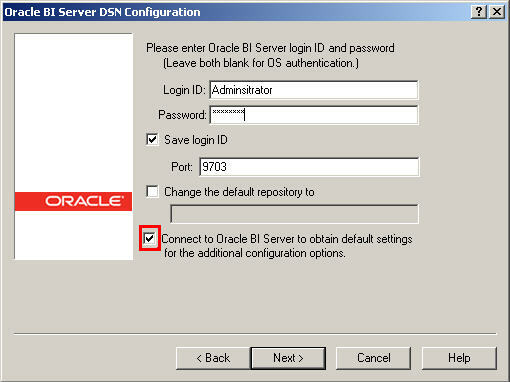 It seems there is no way to roll it back to Enable on the same configuration page. Delete these two items and restart BI Server. You would see the Enable link is restored back! I will create a temporary “purge-log” folder under Oracle BI Home that would store the log information of the cache purge. 1.You need to put the following lines into a .sql file. I call it purgecache.sql and put this file under purge-log folder temporarily. // The below script should be run at the terminal to purge the OBIEE Cache. 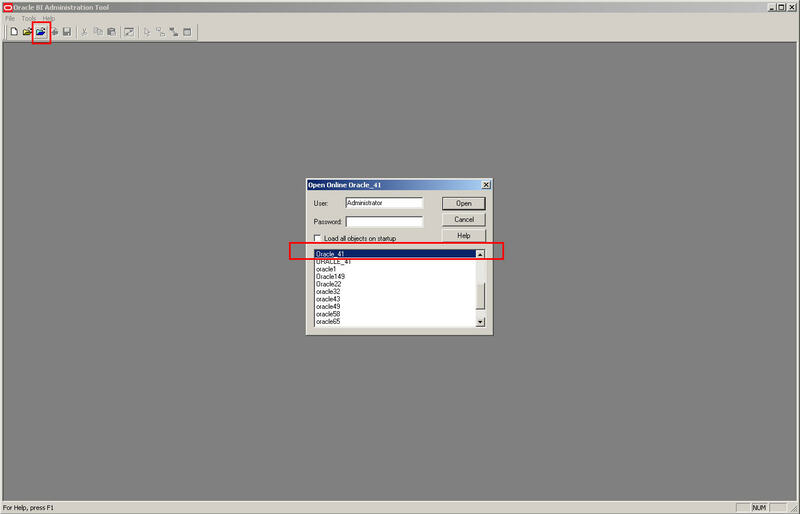 2.The script for purging all BI Server cache is shown below and I name it as cachepurge.sh. 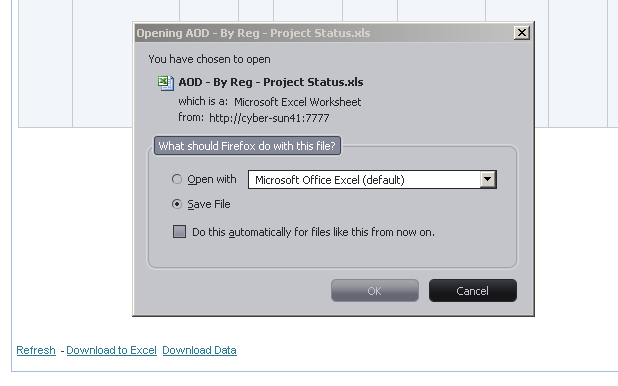 If you setup a download link for each report like below in IE6, it works fine when you download the data like below: OBIEE could transform mhtml data format to the desired the data format ( in this case it is an excel file).